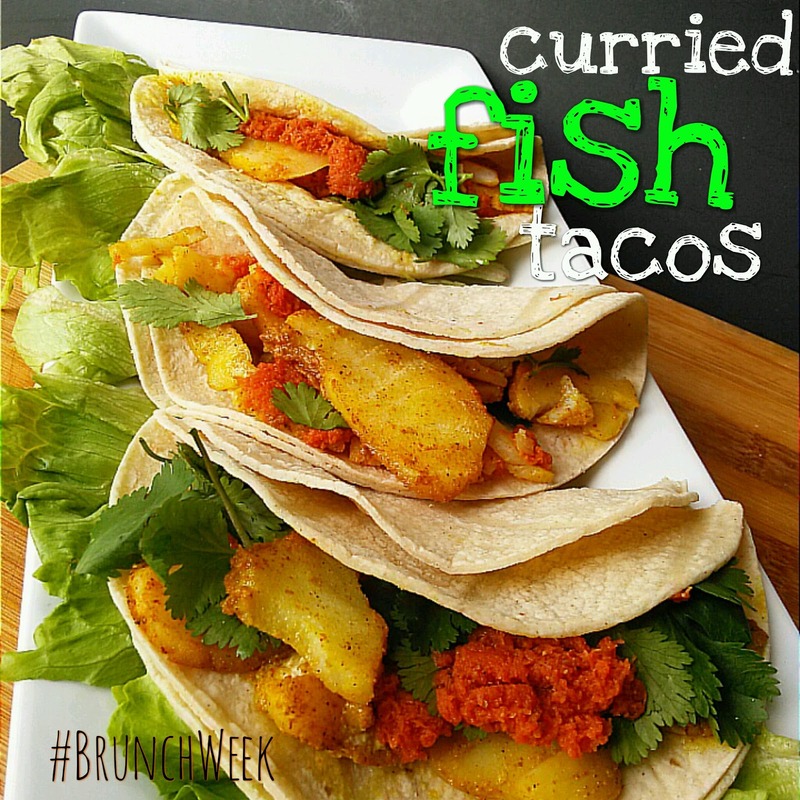 Today for #BrunchWeek I'm bringing you Curried Fish Tacos. I originally made a version of these for a private cooking class back in February, but honestly: I like these better. Brunch Week isn't over! Have you been enjoying all of the drinks, breads, eggs, cakes and platters my friends have showcased? Have you entered the #BrunchWeek contest? Want to win a blender? How about a set of knives? A baking dish? Well, what are you waiting for, grasshopper?! 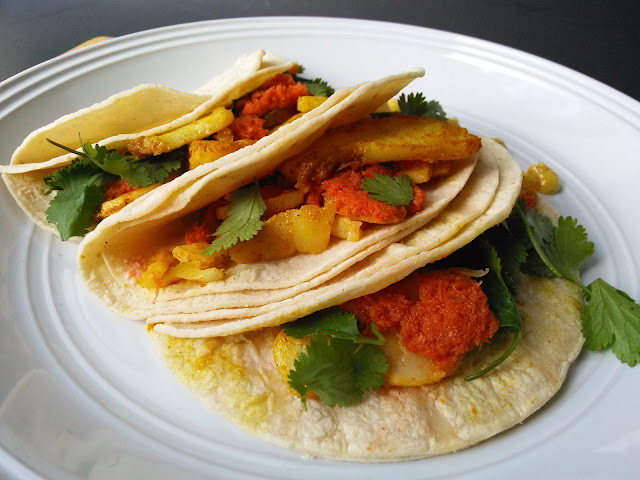 I made my own curry powder to season flaky Atlantic cod topped with a fresh grated carrot salad tossed with Nielsen-Massey lemon extract and garnished with cilantro leaves, all wrapped in a double layer of warmed corn tortillas. I'm totally into curried things. Curried tuna is my number one favorite followed closely by curried chicken salad with celery and dried cranberries. I tend to have business meetings and luncheons in places that serve those type of salads alongside quiche and brothy soups and gallons of iced tea. When I'm done dabbing the corners off my mouth with a linen napkin, I find the closest beer hall and let my hair down. And that's what these tacos are: me letting my hair down! I love tacos. Why not? They're very easy to assemble and do not require advanced planning. No overnight marinade, no pretense, no fuss. You can even set up a taco bar and have your family, friends and guests make their own. Want some avocado? Don't want cilantro? Need a bit of scrambled egg? Make it happen. 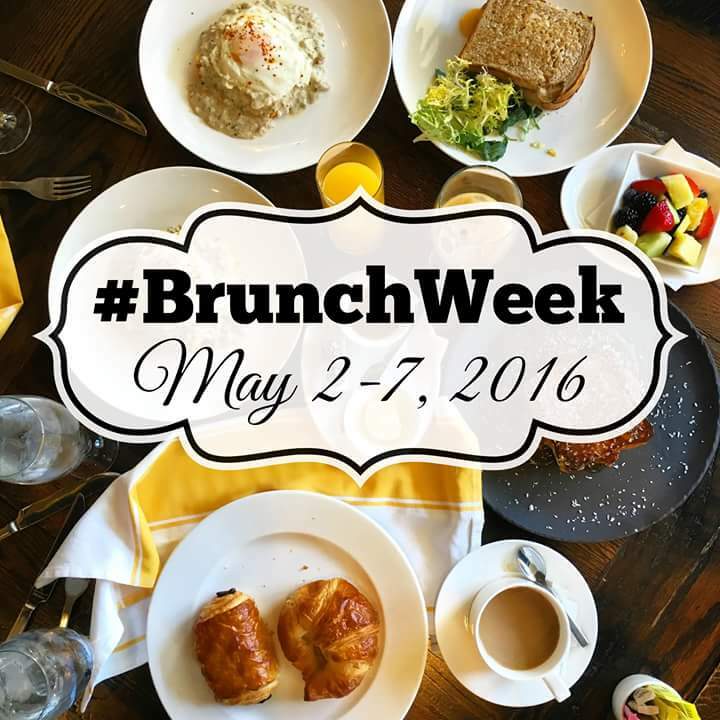 Make it happen and scroll down a bit to see what my talented friends are making for #BrunchWeek, too. Let us help you make plans for brunch this weekend! 1. Gently dry fish with paper towels. 2. Sprinkle curry powder over both sides of fish fillet; season with salt and pepper. 3. Heat oil in a sauté pan over medium-high heat. Place fish in the pan and cook until golden brown, 5 to 7 minutes. Carefully turn fish over halfway through and cook until fish flakes easily with a fork. Set aside. 4. Combine grated carrot and lemon extract in a small bowl; Season with salt and pepper. 5. 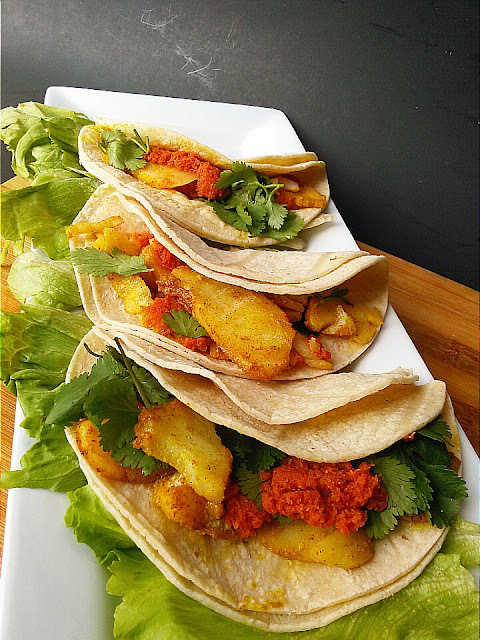 Flake fish into chunks and distribute evenly among tortillas. 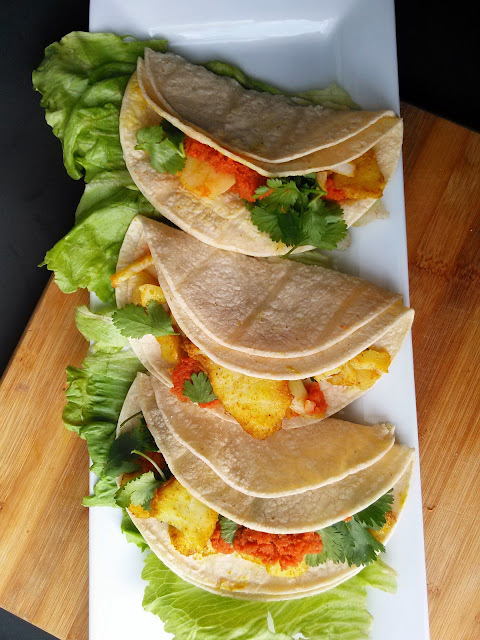 Top each with carrot salad and garnish with cilantro leaves; Serve. Thank you to #BrunchWeek Sponsors: Red Star Yeast, Dixie Crystals, Cabot Cheese, Vidalia Onion Committee, Sage Fruits, Nielsen-Massey, KitchenIQ, and Le Creuset for providing the prizes free of charge. These companies also provided the bloggers with samples and product to use for #BrunchWeek. All opinions are my own. I'm totally impressed that you made your own curry powder and very bummed you didn't share it. I am posting your recipe to our Fish Friday Foodies facebook page. Thanks. These look great! All they need is a proper taco holder.